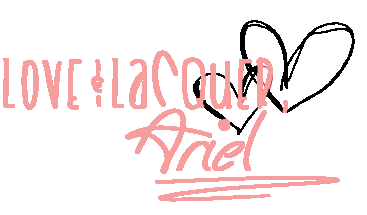 Happy WEEKEND, Lacquerbeanz! 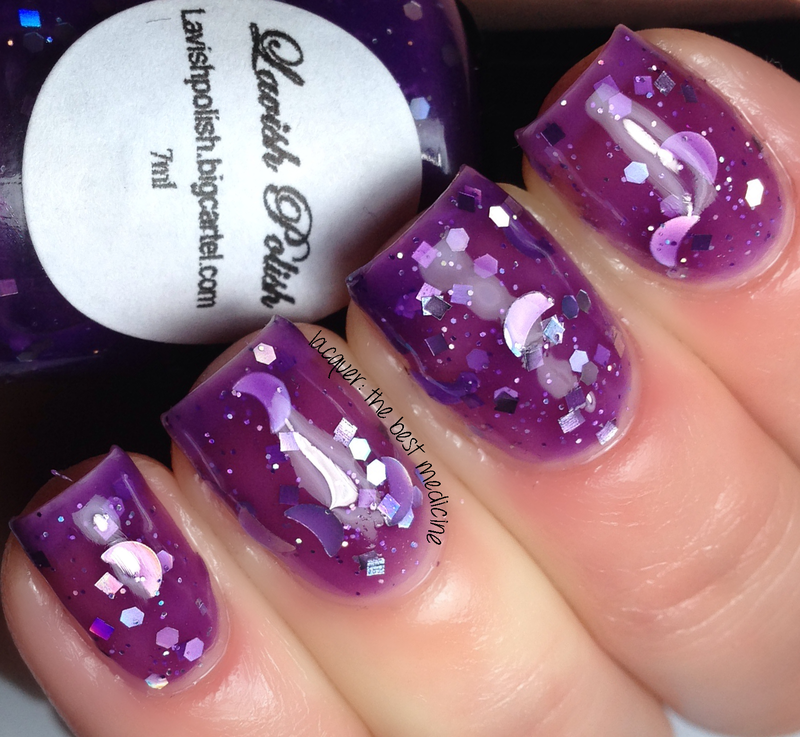 I have some quick swatches of a new polish to be released later today from Lavish Polish called Moon Princess. This polish has a beautiful purple jelly base with silver and purple fine/small holo glitters and some cute silver holo moon glitters. The formula was good for a jelly, and I didn't have to fish at all to get the moons out! Swatches show three thin coats with topcoat. This polish will be released today on Lavish Polish's website. Pick one up for yourself - it's a beauty! I love jelly polishes, especially purple!